In case you already have not heard about this, please read Barbara Venezia's Daily Pilot column, HERE. It seems that three of the candidates for Newport Beach City Council seats in November have chosen - apparently on the direction/advice of their campaign advisor, Dave Ellis (he hates it when I call him Dave). This is beyond strange, since this version of the series - the final one this cycle - adds to the panel of interrogators Orange County Register columnist and former Newport Beach council candidate Jack Wu and uber Republican insider and operator of the FlashReport site, Jon Fleishman. Both would seem to be kindred spirits and more likely than not to cut some of their pal, Ellis', stable of candidates some slack. I don't know for sure, but it seems likely. It sure looks like the OC GOP hierarchy is peeved at Barbara Venezia for the last Costa Mesa Forum, which can be watched HERE. 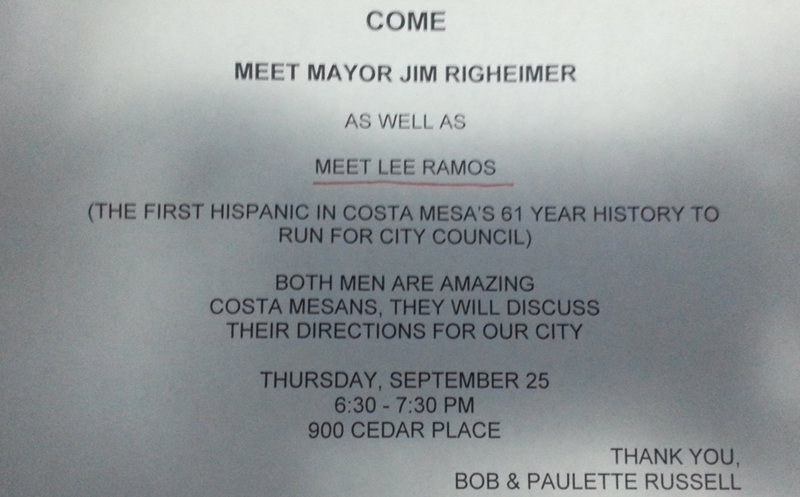 It would appear to me that the move to stifle dissent is not constrained to Costa Mesa in the form of Mayor Jim Righeimer and his minions, but looks to be systemic within the leadership of MY Republican Party! I don't like it one bit! I don't believe I know any of the boycotting candidates, but I do know OF a couple of them. How do you not get a warm, fuzzy feeling when you think of Marshall Duffield of Duffy Boats fame? And, I've read some of Scott Peotter's stuff in the Newport Beach Independent. 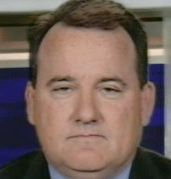 He has been a field representative for lame duck Assemblyman Allan Mansoor. I don't know squat about Kevin Muldoon, but he must have a few bucks, because Ellis doesn't come cheap. I DO know about Dave Ellis, though. I have spoken with him a few times, shared a meal with him and the stories about him around these parts are legion! Did you know, for example, that he advised Leslie Daigle during her Newport Beach council campaign in which Venezia was also a candidate? Did you know that some of the political shenanigans he pulled during that race that involved the business operated by Venezia's husband so angered her that she dropped out of the race? Do you think she might be holding a grudge? I would be, but that's just me. I have NO reason to believe that Venezia would attempt to make life difficult for Ellis' stable of candidates just because they have a personal history. I DO think it's a cop-out on their part to avoid facing their challengers and members of the media to have important issues fleshed out in a community forum setting. So, the voters of Newport Beach lose on this one. 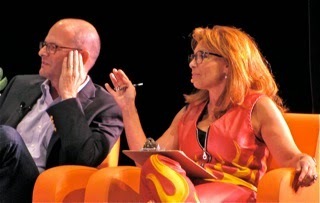 Because of what certainly looks like institutionalize vindictiveness and political cowardice, nearly half the candidates running will blow off the Feet To The Fire Forum next week at the Oasis Center in Corona del Mar. What a shame. 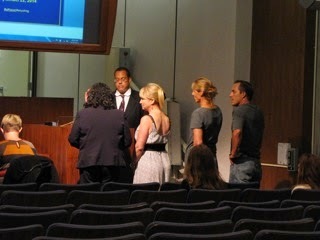 The Costa Mesa Parks and Recreation Commission met Thursday evening for what turned out to be a fairly brief affair. New Recreation Manager Travis Karlen was welcomed as he manned the barricades for his first meeting. He handled himself well. The commission accepted the donation and plaque from Melody Freeman in memory of her friend and co-worker, Kimberly Curtis, who passed away recently. 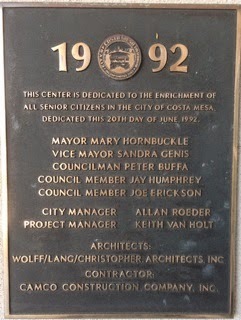 The tree and plaque will be placed in TeWinkle Park. The first item on the agenda was a tree removal request from the resident at 2016 Arnold Street. The commission made short work of this item - the decision was made unanimously in less than five (5) minutes to deny the request that the City remove the tree because it is on private property. I've subsequently heard from the property owner, who was unable to attend the meeting because it fell on a religious holiday. She tells me she doesn't want the tree removed at all. She just wants the City to continue to maintain it as has been the case for decades. She plans to seek relief from this decision. 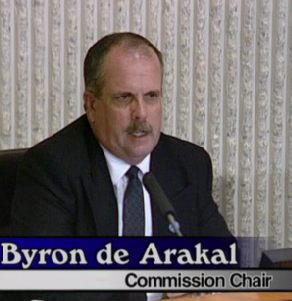 On the issue of dividing the city into five (5) park districts and assigning a district to each commissioner - the brainstorm of Chairman Byron de Arakal - generated some discussion. 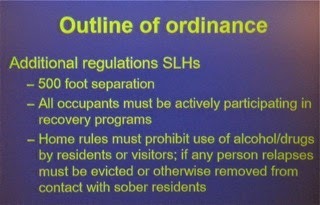 The chairman told us he thinks this is a good idea and wants to have it codified in the Municipal Code. His plan would call for every park to have new signage placed at two entrances to each park in the city which would include the name of the commissioner responsible for that particular park. In his scheme, residents with issues involving a particular park would be in touch with the commissioner via the contact information on the signs. The commissioner would discuss the issue with the complainant and the staff and, if necessary, bring it to the commission for discussion. Additionally, each commissioner would be expected to report to the commission on the status of each of their parks twice a year, and be prepared to make recommendations on capital improvements coincident with the annual budget cycle. The commission decided to have the staff further flesh out this plan and bring it back to the commission for further discussion/fine-tuning. It may be voted upon in November. MAYBE, BUT IS IT REALLY NECESSARY? Here are my thoughts on this.... We've been getting along just fine without this change. Is it really necessary? I don't disagree that it's a good idea to assign each commissioner a specific group of parks for which they would be the primary contact. Some conversation was made about rotating the assigned groups among the commissioners every two years. That seems like a good idea. I think putting the names of individual commissioners on the park signs is a bad idea and will cause too much maintenance as commissioners rotate from group to group. I think the sign should simply refer questions to the Parks and Recreation Department, who could forward them on to the proper commissioner, if necessary. Next up was the donation of the cost of installing a second exit at the Costa Mesa Bark Park. The Bark Park Foundation no longer manages the facility, but it has some cash left and Shirley McDaniels, representing the Bark Park Foundation, wanted to contribute the costs of installing the additional entrance. The commission discussed this for a few minutes, then agreed unanimously to accept the donation and instructed staff to assist with the installation of the new entrance. Then came the discussion of the new 19th Street Monument Signs that would be installed in concert with the 19th Street Improvement project. 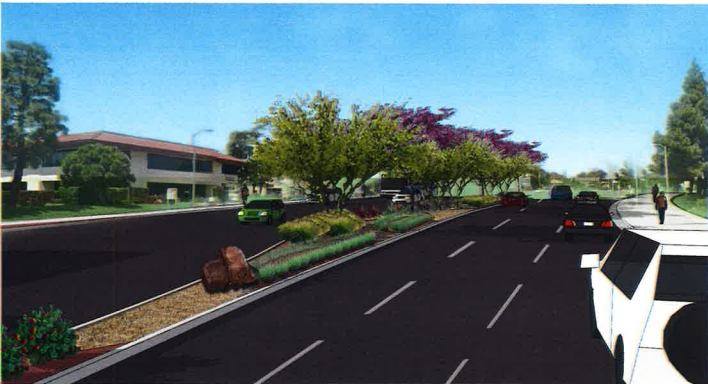 That project, which would be funded by nearly $900,000 in grant dollars, will strangle traffic along the stretch of 19th Street from the city border at Irvine Avenue all the way to Fullerton Avenue, near the terminus of the 55 Freeway. Monument signs would be placed at either end of the project. The image you see here is the final selection. The commission voted to move this project forward with the selected signs. 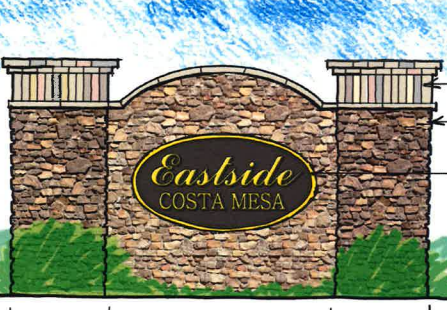 A couple residents, including 19th Street resident, realtor and President of the Eastside Costa Mesa Neighbors Group, Jeff McConville, spoke in favor of this plan. The final item on the agenda was Transportation Services Manager Raja Sethuraman's report on the nearly half-million dollar Bristol Street Media Project. Grant dollars will be used for this project, too. The goal is to make that roadway safer and beautify it at the same time. The plan was approved on a 5-0 vote. New Recreation Manager Karlen gave his report on the status of summer activities in the city. I won't give you all the statistics, but will observe that most youth-oriented programs - Teen Camp, R.O.C.K.S, ECP (early childhood program), Summer Day Camp were almost all over-subscribed with some waiting lists. Regarding the Neighborhood Community Center, Karlen reported that in July and August more than 17,000 people were served by that facility and it generated more than $27,000 in revenue. This, you will recall, is the facility that your mayor described as underutilized as a reason for planning to convert it into a library. 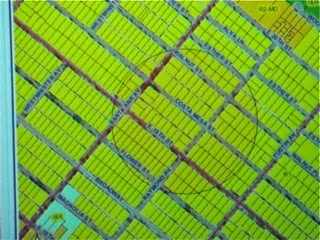 Somebody needs to take a much, much closer look at that situation because I've heard no plan that replaces that space for the residents. During commissioner reports mention was made about a "lighting demonstration" that apparently occurred last night somewhere in the city. Apparently there will be a meeting next Tuesday, September 30, beginning at 6:00 p.m. in council chambers to discuss lighting the fields at Kaiser School on the Eastside of town. 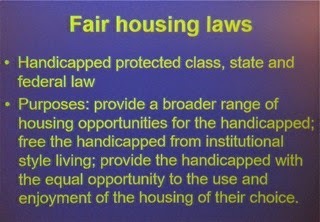 I expect the contiguous neighbors will receive notices of this one - and we plan to be there to hear the message. Commissioner Bob Graham apparently visited the Newport Beach City Hall recently and viewed a large display of public art at the site. He suggested we consider doing something similar throughout the city. He specifically mentioned Fairview Park. Chairman de Arakal also mentioned he wants to begin considering banning "vaping" - the use of electronic cigarettes - in all parks throughout the city. He also wants to consider using the Senior Center Parking Lot for some kind of outdoor recreation facility for the Seniors. He mentioned lawn bowling. Yesterday I spoke with Costa Mesa's Director of Communication, Bill Lobdell, about the video coverage of the Feet To The Fire Forum held last Thursday, September 18th at Orange Coast College. 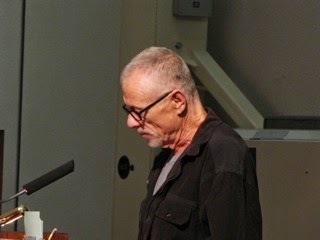 I had hoped to provide you with a link to the streaming video of that event, plus other information. He told me the streaming video would be available "soon". Well, it has been nearly a week and it's still not up and I'm tired of waiting for it. You can read what I wrote about that event HERE. You can read what Bradley Zint wrote about it in the Daily Pilot, HERE. 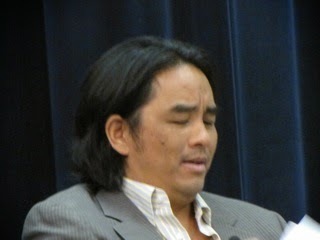 You can read the real-time live blogging done for the OC Political Blog by Chris Nguyen, HERE. You can hear the audio coverage from radio station KOCI-FM by clicking HERE, then on the audio link. You can view a third party video of the event in two segments, HERE and HERE. It's not high quality video, and it doesn't capture every word, but it's better than nothing. And, if it ever becomes available, I will provide a link for the CMTV streaming video at this location. You can link to the CMTV coverage HERE. 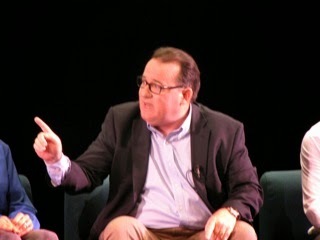 And, I apologize to my pal, old Barry Friedland, for overlooking the coverage he and his "staff" provided at the forum. They have produced 28 minutes of before-and-after interviews recorded at the event. There is no coverage of the forum, per se, but it does provide some interesting - if one-sided - perspective. You can view it on YouTube HERE. Thursday night, September 25, 2014, the Costa Mesa Parks and Recreation Commission will hold its monthly meeting to do the City's business, so to speak. You can read the agenda HERE. Just to give you an idea of what they will consider at this meeting, I'll skip quickly through the agenda items and provide links to each so you can review them in greater detail if you wish. I'll be at the meeting and will provide you a report tomorrow evening some time. Item 6a, HERE, which is part of the Consent Calendar, is the request for a memorial plaque and tree planting at TeWinkle Park. Item 9a, HERE, is a tree removal request at 2016 Arnold Street. The tree is on private property so the staff is recommending denial of the request. 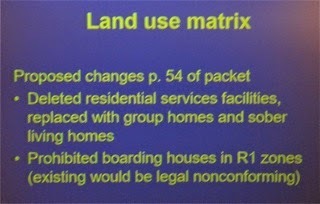 Item 9b, HERE, is probably the most interesting item on the agenda. This is the discussion of City Park Signage and Establishment of Park Districts floated by Chairman Byron de Arakal recently. Personally, I'm not convinced this is the way to go, but I'm interested in hearing the debate. Item 9c, HERE, is the proposed donation of a secondary exit to the large dog area of the Bark Park. Item 9d, HERE, is the proposal for the East 19th Street Monument Sign that would be part of the proposed traffic calming plan for that stretch of 19th Street from the City border at Irvine Avenue to Fullerton Street, near the intersection with Newport Boulevard. This is my part of town and I'm going to be very curious to see how a monument sign will fit in what is going to be a narrowed portion of 19th Street at Irvine Avenue. Item 9e, HERE, is the Bristol Street Median Project, which consists of improvements along that street from Baker Street and Newport Boulevard and includes some enhancements between Baker Street and Randolph Avenue. The staff report shows plant palettes and the details of this nearly half-million dollar project, which is being completed using Highway Safety Improvement Program (HISP) grant funding. COME ONE, COME ALL... OOPS! 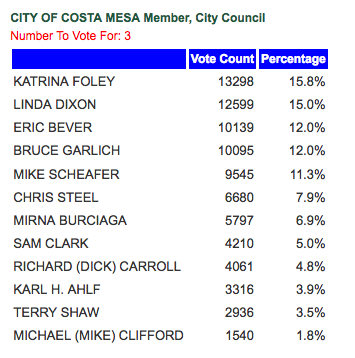 Then read the following image - the results of the 2004 Costa Mesa City Council election, where three candidates were chosen from a field of 12. Note that Mirna Burciaga, at the time a Parks and Recreation Commissioner, finished in 7th position with nearly 5,800 votes - almost 7% of the total. Actually, I'm not surprised that these bozos made this kind of a mistake. 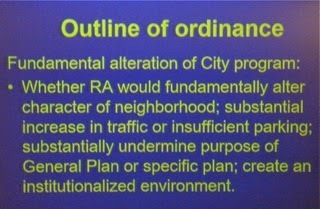 After all, Righeimer was still roosting in Fountain Valley and old Lee was apparently not interested in municipal affairs yet. However, before they go tooting that "Hispanic" horn, they darn well better do some fact checking. Of course, facts seem only to be impediments to them as they spread their falsehoods on the campaign trail. And, while you're thinking about it, vote NO on Measure "O", the latest bogus charter scheme to be shoved down the voter's throats by Righeimer. This one is worse than his hand-crafted charter two years ago. 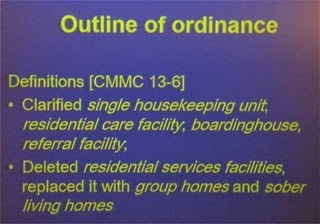 This one, by including sections 104 and 806, permits the council do DO ANYTHING they wish, as long as it's not illegal. That's way, way, way too much power in the hands of ANY city council, and particularly this one. 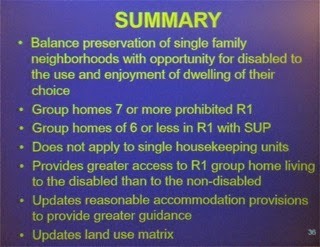 In addition to the Group Home Ordinance, discussed at length in my previous post, the Costa Mesa Planning Commission discussed several other items at the meeting Monday night. The video of the meeting can be viewed HERE. Use the "jump to" feature - just click on the subject listed below the image window and you'll "jump" right to the beginning. Public Hearing #2, HERE, is the revocation of the the Conditional Use Permit (CUP) for the recycle center operated by RePlanet, LLC at the Stater Bros. market parking lot at 2180 Newport Boulevard. This hearing required some of the participants to be sworn-in and the proceeding was conducted by attorney Greg Palmer, a litigator for The City. Senior Planner Mel Lee and neighbors adjacent to the site, Deanne Hemmens, Christy Turley and Tyler Turley were all sworn-in. The item took around 90 minutes to hear, during which Palmer outlined the many violations of the CUP and the neighbors each took their turns being interviewed for the record. Stories of transients leaving all manner of human waste near the yards, loud noise, violation of hours of operation and many other items were discussed. The commission, mainly Chairman Jim Fitzpatrick and Colin McCarthy, were especially heavy-handed with the operators and with the management of the adjacent Stater Bros. Store. 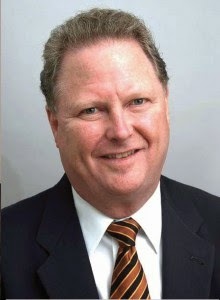 Fitzpatrick, in particular, went overboard with his criticism of the folks presenting before him, including representative from RePlanet and Stater Bros. The result was the CUP was revoked on a 4-0 vote. 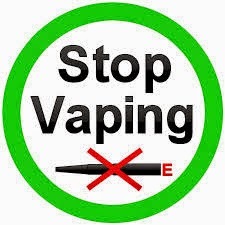 Then, for some inexplicable reason, Fitzpatrick moved the brief discussion of E-cigarettes up on the agenda ahead of Public Hearing #3. Stacey Reynolds from the State Department of Education gave a very brief presentation on the issue and described the astronomical growth of the e-cigarette business in the past year. 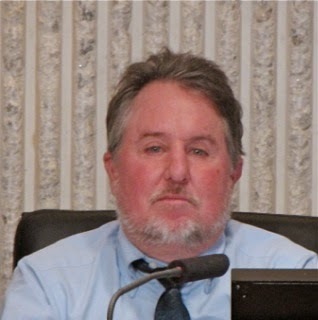 At the end, despite the observation by Assistant Development Services Director Claire Flynn that such an action might require city council authorization to spend the staff time, Fitzpatrick said he and McCarthy would brainstorm with staffer Mel Lee to discuss a possible ordinance. The item was just received and filed. Just before 10:30 Public Hearing #3, HERE, the 18-unit development on Hamilton Street was launched. The short version is - this is an excellent project, fully parked with more open space than is required. 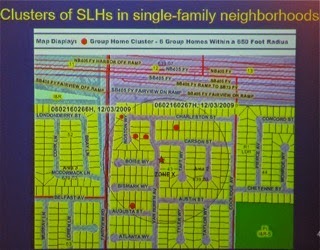 The property could support 24 units - the builder is proposing 18. This looked like it was a slam-dunk - the only modification was on the setbacks, and those variations were small. 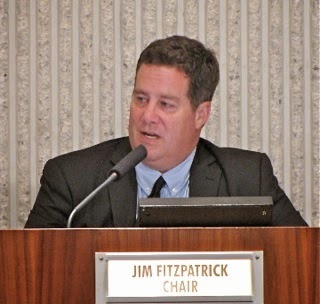 However, Fitzpatrick chose this time to launch into one of his tirades about the Costa Mesa Sanitary District - that organization that tossed him out because he held his seat on the board illegally. He suggested that he would propose to future developers, including this one, that they consider alternative trash haulers instead of having CR&R - the contract hauler - pick up the trash. He is a small, vindictive little man. 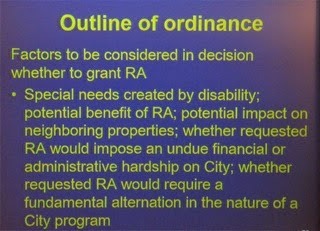 The item moved forward on a 4-0 vote. 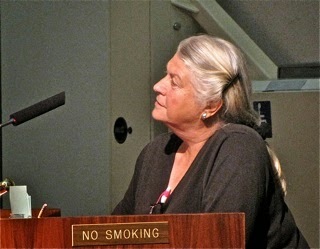 Public Hearing #4, HERE, looked like an easy one. Ha! One just never knows. Just before 11:00 p.m. the discussion of the move of a satellite church - part of the Saddleback Church organization - from Huntington Beach to facilities at 1901 Newport Boulevard. This is adjacent to the busiest intersection in the City - the terminus of the 55 Freeway into Newport Boulevard at 19th Street near Harbor Boulevard. The architect for the project and the pastor for the church spoke to the issue. 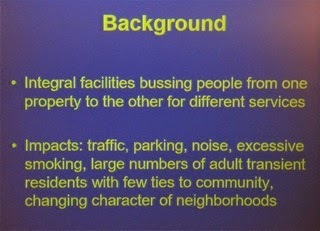 The commissioners had problems with a few factors - parking, traffic management, "ministries" and event scheduling. Plus, Fitzpatrick kept mentioning a problem he had with a "church over by the airport", as though it was somehow relevant to this issue - it wasn't. One peculiar statement he made was that "nobody had reached out to me" on this subject. I guess he feels slighted if an applicant processes his paperwork through the staff and appears to meet all the requirements but doesn't call him to have his ring kissed before the item is heard. 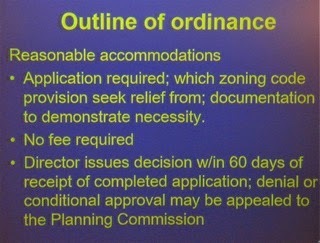 The message was loud and clear - HE is the Chairman and HE expects some deference from applicants - or else! The upshot of all this, at just before 11:30, Fitzpatrick recommended that the item be "continued", for re-consideration at their meeting near the end of October. It was strange, indeed. 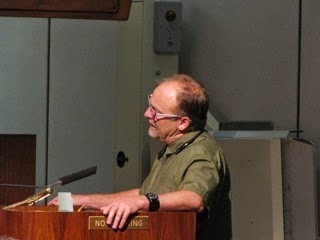 Last night the Costa Mesa Planning Commission - minus the thoughtful, articulate and thorough voice of Vice Chair Rob Dickson - stretched their meeting until 11:30 p.m. with some predictable results. 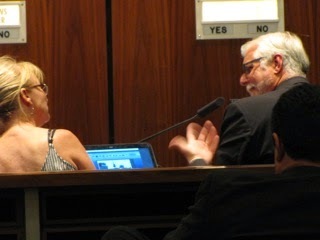 For example, Chairman Jim Fitzpatrick demonstrated to those who chose to stick around late in the evening that he's a sore loser (emphasis on that second word) and still holds a grudge against the Costa Mesa Sanitary District. Vindictive grudge-holding by a powerful public official is not only distasteful, but very dangerous, as well. More on that later. WARNING: This is going to be a LONG post - too many images to present. 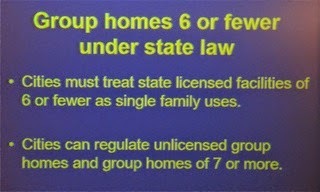 I've decided to just cover the Group Home Ordinance on this post. I'll cover the rest of the meeting in a subsequent post. 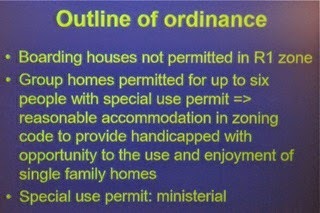 As previously reported, the first item on the agenda was the Public Hearing regarding the possible "Group Home Ordinance". You can read the 137 page staff report HERE. 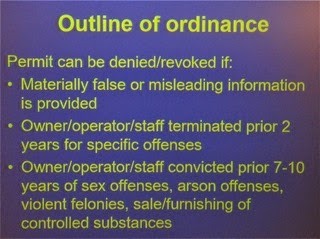 It includes a draft of the proposed ordinance. The discussion took two hours! 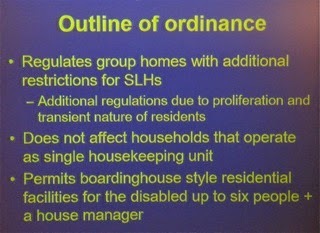 So, in the interest of providing as much good information as possible to those of you who actually care about this issue, I'm providing you with a long series photos of the PowerPoint presentation by staff. I think you'll find most of the images self-explanatory. I'll address a few of them as we go along. You can watch the streaming video HERE. Let's start with some of the images, shall we? Here we get the term "Integral facility" introduced. 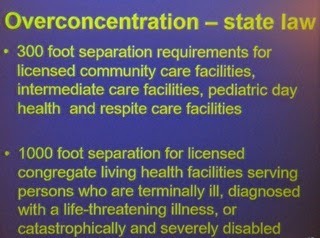 This means a group of facilities located near to each other in which "patients" might live in one or two, but walk across the street or next door for meetings or "therapy". 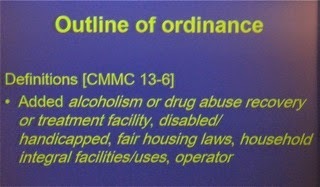 The proposed ordinance will ban those kind of facilities. Let's pause for a moment to look at this chart. 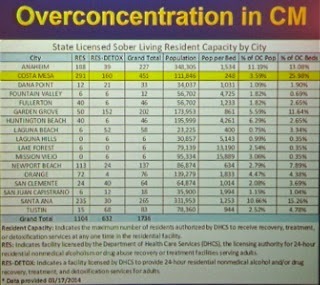 If you look closely you will see that Costa Mesa accounts for 26% of the LICENSED Sober Living facilities in Orange County! 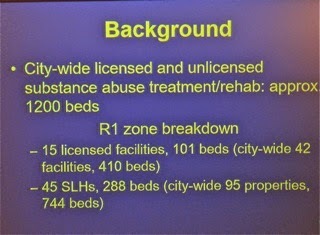 These numbers DO NOT include the unlicensed facilities that are proliferating. This one should rock you back - I know it did me as I tried to read it from the audience. 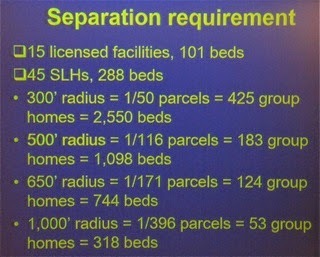 The City thinks we may have 150 unlicensed facilities in our city, but the grass-roots organization Take Back Our Neighborhoods (TBON) says they have evidence of at least twice that many! 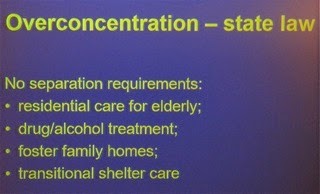 The conversation around this issue, the "separation requirement" was interesting. 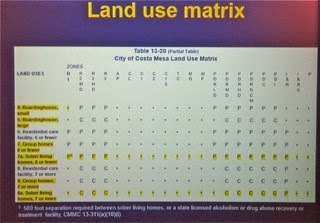 As you saw in the chart way up at the top, Costa Mesa has way, way too many group homes. 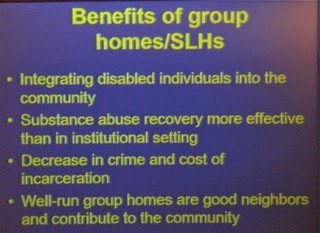 It was decided to include the 650 foot radius, which would probably pass legal muster, yet significantly reduce the number of group homes. 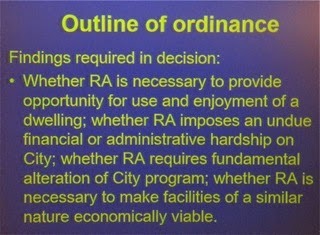 This will be amended and brought back for City Council approval. During the comments one speaker suggested that this process should be delayed until the new City Council is seated. Chairman Fitzpatrick slammed that suggestion as obstructionist and chided the speaker for complaining about the issue, then wanting to delay progress. Interesting, since Gary Monahan used that very reason for walking out of contract negotiations with the Costa Mesa Police Association last week. He said such an important issue should wait for the new council. Apparently what's good for the goose is not, necessarily, good for the gander. Has a faint whiff of politics, don't you think? 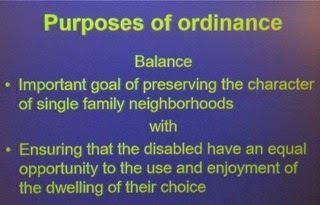 Another speaker wondered why restrict this to only R-1 zoned segments of the city. Why not include R-2? The contract staff lawyer, Elena Gehrli, said it was too complex to do all at once and might not stand up to legal scrutiny. 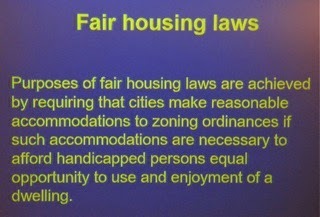 By the way, that was a major portion of the argument - would it pass legal muster? Much mention was made of the current Newport Beach lawsuit that may be presented to the Supreme Court. 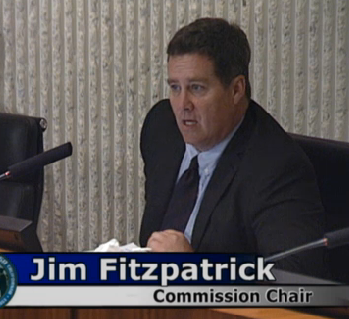 Fitzpatrick told us that city has set aside $1 million for legal fees if it does go forward. 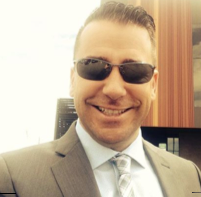 Costa Mesa has filed a "friend of the court" brief in that case and ponied-up $10,000. 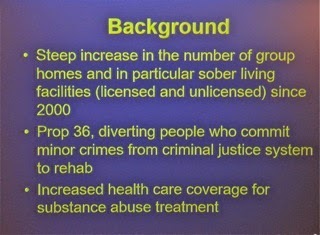 One of the reasons, apparently, to be VERY cautious with this process is, according to Gherli, the sober living business has $35 BILLION in annual revenues. It's like printing money, except faster. I mean, you rent a three or four bedroom home for $3,000 a month and house six "patients" in it for upwards of $10,000 per month a piece and you can see why this is such a booming business. Even with food and other expenses the operator is going to CLEAR about $50,000 per month! 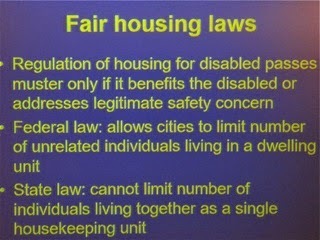 Mention was made of a "good neighbor policy", which would require operators to be "good neighbors". I guess that would apply to all of us, so get ready for Big Brother - in the form of Code Enforcement - to potentially come knocking on your door. The timing of the application process was interesting. Current operators would have 90 days in which to complete an application. If they fail to do so they can be shut down. 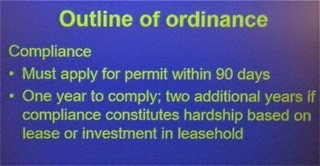 Once the application is complete they have a year to comply, which could be stretched to two years. Sounds very cautious to me. 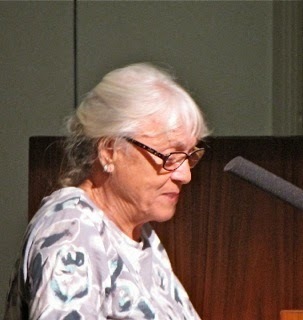 Fitzpatrick suggested shorter time frames, but the discussion ended up leaving them as they are. 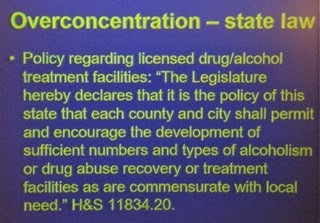 Some of the commissioners - Fitzpatrick, in particular - seemed obsessed with who was paying for the treatment. 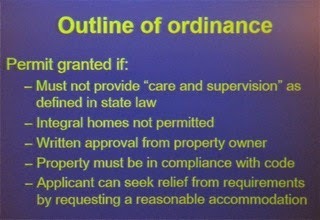 In actuality, it's none of our business and we should not craft an ordinance with that as a cornerstone. 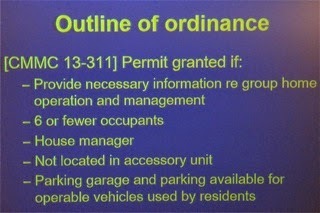 In the end, the ordinance will move forward with tweaks to how to manage the Parking impacts, House managers living onsite, using the 650 foot radius and banning integral homes (mentioned way up top). As a sidebar, once this item was finished at least a half-dozen audience members left. 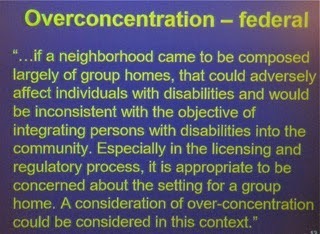 They were identified to me as operators of group homes in the city by folks who have been investigating this issue. None of them spoke during the meeting. We'll see how that changes when this ordinance appears before the City Council, coincidentally, just before the election in October.